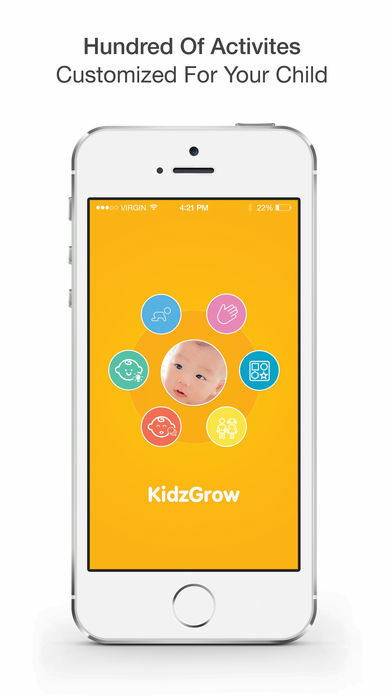 KidzGrow is a skills development mobile application available for both iOS and Android devices. The app contains activities for children aged 0-6 and can be customised to a child’s age. Suggested activities require support from a parent or caregiver and they take place ‘outside’ the app, in the physical environment. Parents are given detailed guidance as to how to implement an activity in different forms: (a) a detailed text description about the activity accompanied by images of the items needed to carry out the activity, (b) a step by step guidance with instructions and images detailing how e.g., a ball should be thrown to a child or what the parent should say to encourage a specific behaviour, and (c) a video showing how to enact the activity. 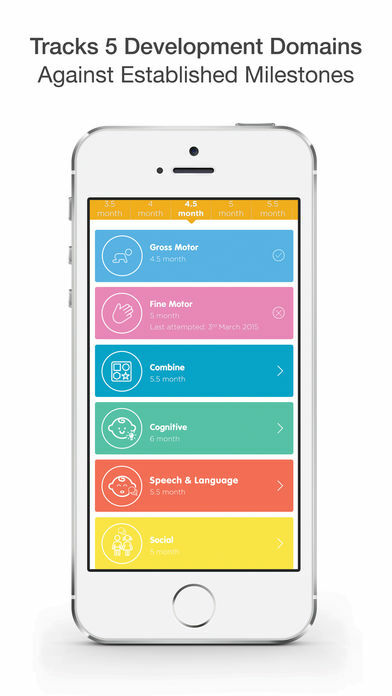 As stated by designers, the apps allows parents to access activities that relate to the next 3 months of a child’s development while new activities are introduced monthly according to the child’s age. Parents can create a different profile for each of their children with information including the name, gender and birthday of each child. Suggested activities support five domains of development: Gross motor skills (e.g., walks downstairs with no support), fine motor skills (e.g., imitates an oblique cross), cognitive skills (e.g., recognises partially revealed items), speech-language skills (e.g., says “thank you” and “please” appropriately), social skills (e.g., helps out with simple adult shores). The app organises the activities around these areas and according to the age of the child and this helps parents choose the area they are more interested in developing. Perhaps the most interesting feature of the app is the provision of personalised feedback after a child has completed an activity i.e., whether the child was able to do the activity or it is not yet ready along with suggestions as to how the child could improve the respective skill. 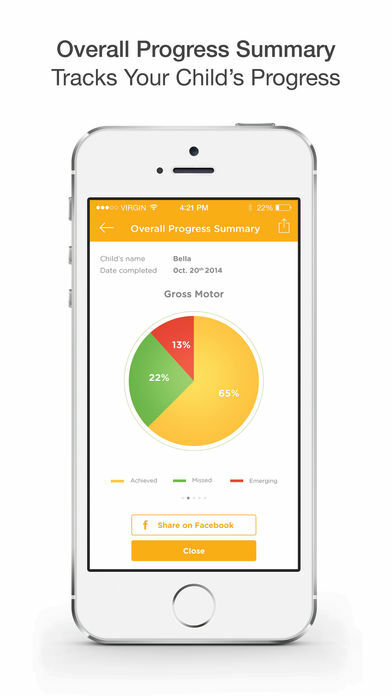 In addition, the app provides a personalised dashboard for each child providing an overall progress summary for each set of skills and indicating the percentage of activities achieved, not achieved, and not attempted. 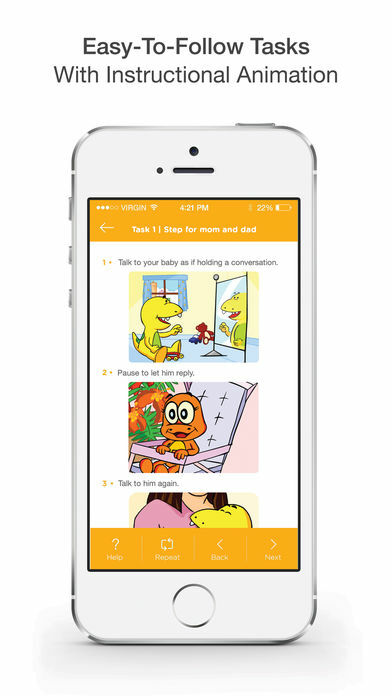 As both a parent and a teacher, I would say that KidzGrow is a well-designed app that could be used as a tool to mediate communication between parents and children, give inspiration to parents as to what activities they can do with their children depending on their age and ensure quality interactions that support learning and development. The instructions as to how to do an activity are very clear and straightforward that could be easily used by any parent or caregiver and ensure that the activity would be effectively enacted. As points of criticism, I would say that it is relatively expensive to buy the full set of activities (£2.99 for the addition of another child and £6.89 for a 2-years package for children 3-5 years old). It is also a limitation that the app requires a constant wi-fi connection to work as a lot of these activities could be done outside one’s home where internet connection may not be available. A minor usability comment, the ‘share on facebook’ button does not work - it shuts the app down.